I had been fighting a cold as well as a persistent cough and a weird bruise on my arm. I finally decided that the over the counter meds were not working, so I went to urgent care. A friend rode with me as pulled up to the facility. They did the normal tests including taking blood. After a while, the nurse called me to see the doctor. They prescribed some prescription cough meds and told me that my white blood cell count was way too high. They sent my sample to a bigger lab to confirm the issue. The next day, I got a call at work that stated for me to go to the emergency room and have further tests because there was something definitely wrong. I was in the ER for hours before I was called in to do the additional tests. At about 2:30a, they told me that I have leukemia. I broke into tears...I couldn't believe what I was hearing. I was admitted to the hospital so that they can get a plan together for me. Later that morning, I was transferred to a bigger hospital and was poked on all day. I was assigned a wonderful oncologist (who I still see today). They did a bone marrow biopsy, which felt like it hurt worse than childbirth. I was hooked to this huge machine which removed all of the extra white blood cells in my body. This process went on for six days. Finally, my count was down enough for me to be released from the hospital. My body was weak and my spirit down. My friend helped to nurse me back to the point I could move around. Fast forward to the present...October 2017. I take my chemo meds everyday, I'm able to move around without any issues (some days it gets hard when I start having pain) and I'm living my life. Music and dancing has become my solace to keeping alive both inside and outside. Thank goodness for those who I have met on this journey that keeps my spirit alive. I AM STILL HERE...THANK YOU JESUS. 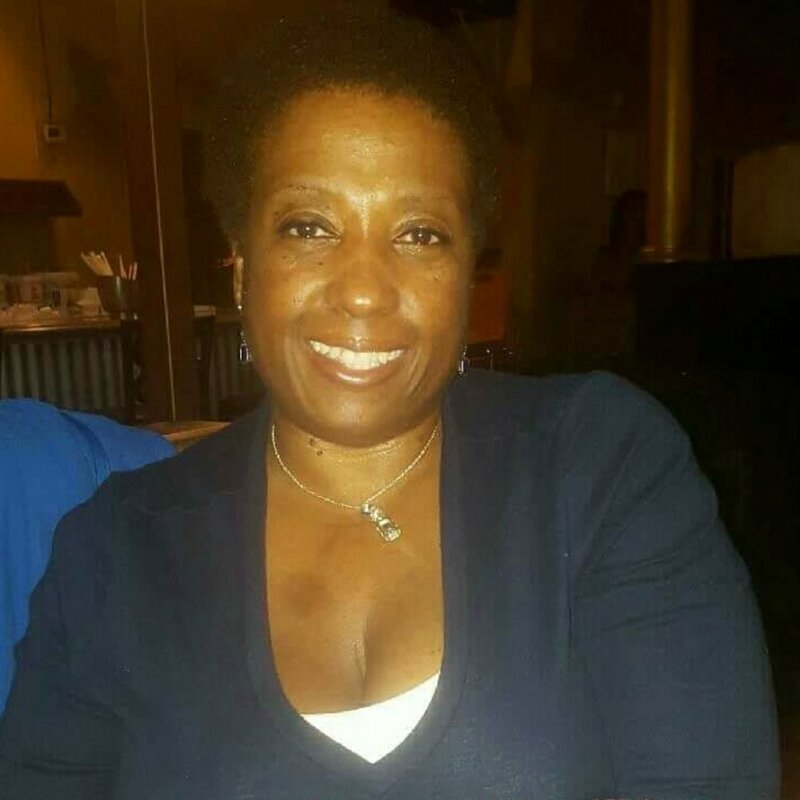 You can catch Andrea dancing to house music all around Chicago! When she's not dancing, she's working hard or enjoying time with her loving family. 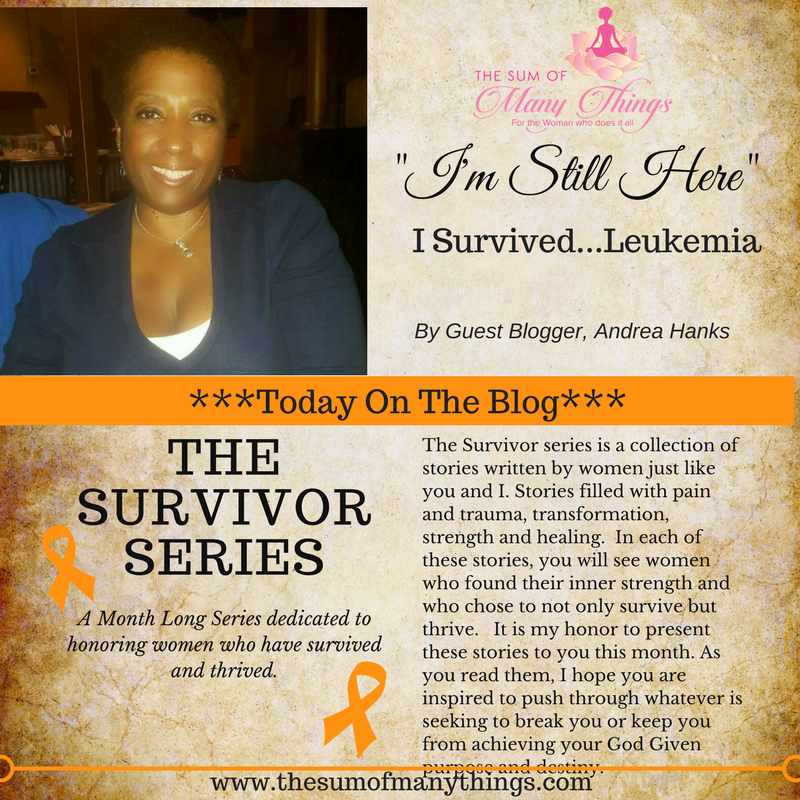 Thank you Andrea, for your willingness to share your story of survival! Keep Dancing!! !